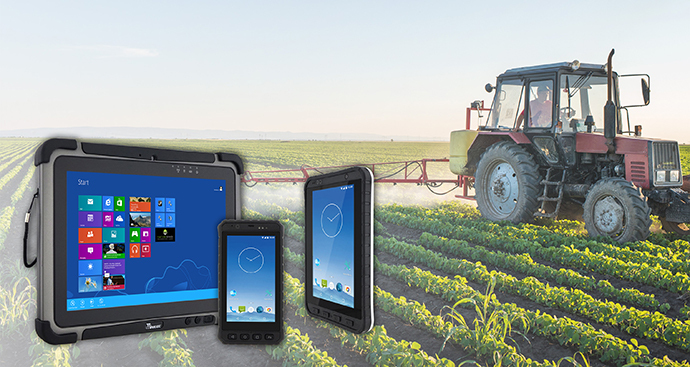 Winmate will be co-exhibiting at the InfoAG Conference with JLT Mobile Computers, a key partner that specializes in providing rugged wireless computers and IT solutions to the agriculture industry. The conference, titled “The Premier Event in Precision Agriculture,” taking place July 17-19 at Union Station in St. Louis, Missouri, United States, has been the premier event for the discussion and advancement of precision agriculture, drawing interest from agriculture professionals globally. During this two-day event, you will have the opportunity to hear from Winmate and JLT Mobile Computers about the importance of using rugged, mobile technology in precision agriculture. Our 10.1-inch and 7-inch Tablets as well as our 5-inch handheld PDA will also be available for conference goers to experience first hand. Listen: Representative speakers from agriculture sector will describe their experience. Gain Knowledge: Learn more about precision agriculture techniques. Network: Grow and deepen your market relationships. For more information, please visit the InfoAG Conference event page HERE.